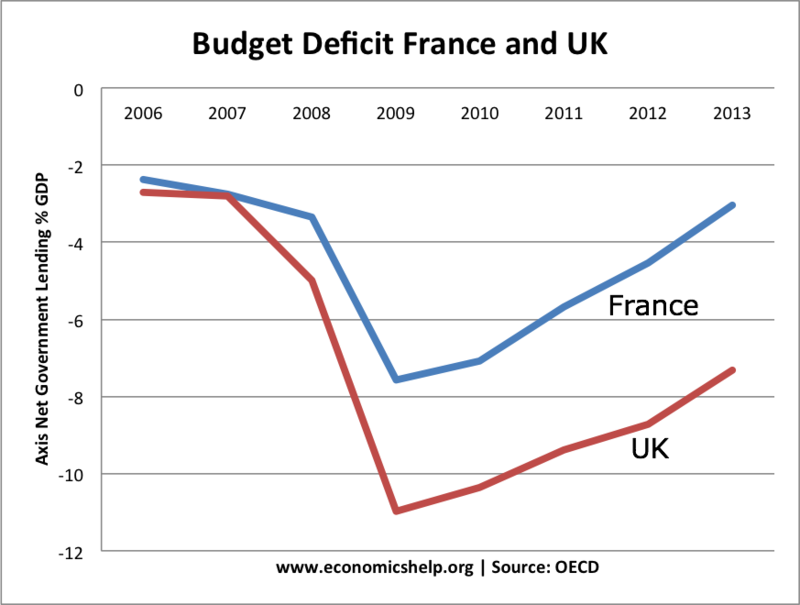 Despite earlier criticising austerity, France has embraced the target of cutting the public deficit to 3% of GDP, from a forecast 4.5 % this year. To do this, the government last week unveiled 20 billion euros in tax rises and a further 10 billion in spending cuts. This is country’s toughest budget in 30 years. There is also a new special tax on incomes above €1 million ($1.3 million) at an overall rate of 75%. The richest will pay on average €140,000 more in taxes next year, the government said. By increasing taxes on the rich, the Socialist government have hoped it will be easier to be accepted by the rest of the population. 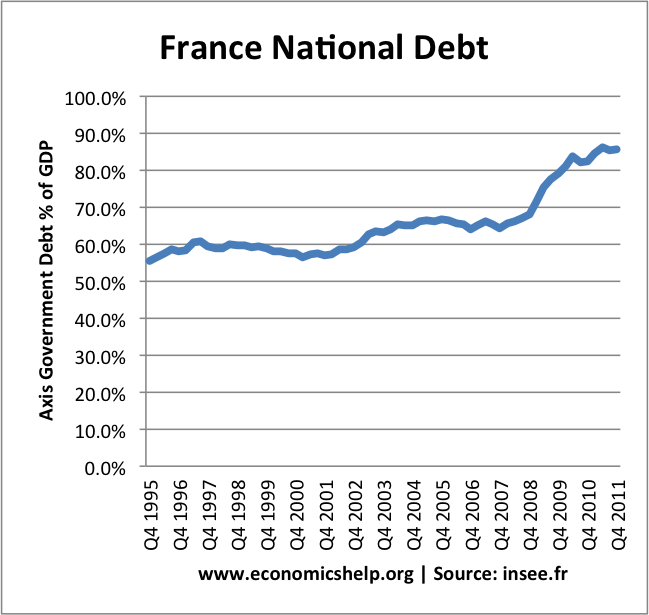 Will this budget (deflationary fiscal policy) in a recession help reduce long-term debt and solve France’s competitiveness problem? France has already one of the highest tax rates in the developed world. Business leaders have threatened to leave the country in protest at 75% marginal tax rates. It may be noble to try and spread the ‘pain’ of the credit crunch. But, if 75% tax rates do cause people to move elsewhere, the tax revenue raised may be much less than expected. Evidence from southern Europe, suggests deflationary fiscal policy during a recession fails to reduce the Debt to GDP ratio. Deflationary fiscal policy (combined with declining exports) leads to lower growth and lower tax revenues. With shrinking GDP, tax rises are unlikely to alter the long-term debt structure. The sad thing is that this budget imposes a lot of economic pain ‘higher taxes’ and lower growth, but, it is unlikely to reassure bond markets. Bond markets should want two things. economic growth and falling unemployment in the short term. But, this budget will do neither. So French voters actually believed Holland when he said he’d end austerity? Hilarious. Joke of the century. And there was me thinking the British were dumb.